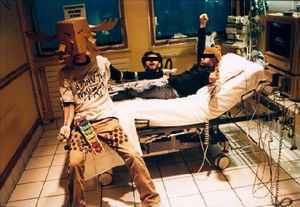 Stupeflip is a French group between punk, Rap and variety made up of King Ju (Julien Barthélémy, Pop Hip), Cadillac and MC Salo. Stupeflip like to brag about being the only band which changed the course of "French Music History" in the XXIst century so far. You may like them or dislike them, but that statement is actually perfectly true.